Mediation or conflict resolution processes assist in exploring unresolved issues and difficulties that prevent you, or your family, from being able to move on and reach agreement, in many settings and circumstances. Our aim is to ultimately provide long term, realistic solutions that benefit you and your family. 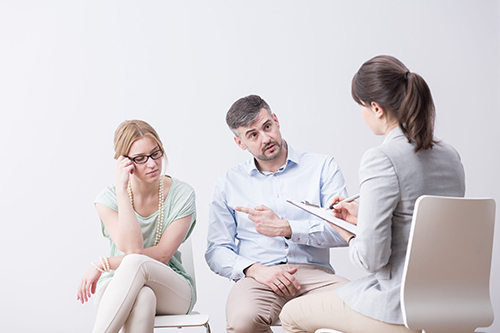 Mediation is an independent process designed to support people in reaching an agreement without going through the, often costly and lengthy, family court process. We use appropriate methods to engage children, including the highly successful use of the interactive computer tool ‘In My Shoes’, which invokes the wishes and feelings of a child or young person in an entirely child focused and indirect manner. We also have extensive access to additional specialist professionals and experts such as child and family psychologists, child and adult psychiatrists, play therapists and bereavement counsellors to assist in providing the best possible support in addressing and resolving more complex and deep-rooted family difficulties. Expert assessments for the Family Court and for Local Authorities considering care proceedings. Our reports are commended for being thorough, evidenced based, and research and case law is cited. CFS has a specialism in assessing complex and intractable cases , particularly those where a child might for various reasons be rejecting a once loved parent. Our staff at all levels have an awareness of the issues for children who might be affected by such family dynamics. Differentiation - We apply a process of differentiation to each case where parental manipulation of a child is alleged or suspected. This stage of analysis is of crucial importance as not all situations of alleged alienation are in fact alienation and children can, following the separation of their parents, withdraw from one parent for reasons other than the manipulation of an adult. Additionally there are occasionally valid safeguarding reasons for children’s resistance to contact and the considerable practice experience of our staff leads us to feel that an open minded analysis of what’s really going on for each family referred to us is essential in order to progress in the right way with each referral. 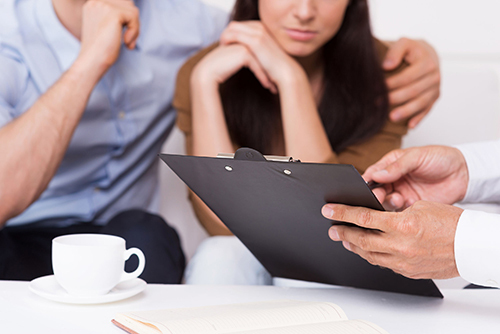 Therapeutic mediation , usually as part of a work plan but also as a stand alone service. All our ISWs are experienced in mediation and systemic work with families and can work together to mediate with a couple where this is felt to be useful. Coaching for separated parents , again usually as part of work for an assessment. Bespoke parenting advice and guidance/ therapy . We can offer this to parents separately or together and can also work with the whole family to create healthy change. We have qualifications in Systemic Family Therapy and many years of practice experience in family work. Training . We have a range of resources we use as well as being able to use a preferred syllabus/ course outline. Consultation for Local Authority staff on specific areas of casework is available upon request. Family Support Work is usually part of an ongoing intervention but can also be commissioned as a stand alone service, where there are gaps in resources in a local authority social work team. It is more frequently used privately where there are social work tasks that do not require a qualified worker. This can include co working with an ISW who is assessing parenting capacity and can for example take the form of offering practical parenting support or undertaking play work with young children as a modelling for the family under assessment. The assessment and supervision of child contact is a crucial area of assessment in family law and needs to be done to a very high standard, which sadly isn’t always the case. CFS offer a high quality and responsive service which covers weekends in most areas and which can be provided as a stand alone resource or as part of an ongoing work plan. We are able to offer detailed professional reports within good timescales. These reports can highlight attachment issues, any deficits or strengths in parenting capacity in terms of response to the child/ren and we can also offer guidance where needed and requested regarding boundaries and behaviour management. We use an agreed template which has proved to be useful and covers all areas of contact including how all parties present, the quality of emotional warmth, stimulation etc. If indicated, all the FSW staff are now able to undertake coaching within the contact sessions to improve the quality of the parenting time for the child involved. If contact is ongoing for a period of time reviews can be held where the strengths and deficits of the parent child interaction can be discussed and goals set out. A Court compliant summary report can also be reproduced if needed and all the staff at CFS are able and competent at giving evidence if needed in the Family Court. We can usually provide a qualified social worker where needed for this work but more frequently this work is undertaken by our experienced family support workers who have training in child development and safeguarding. 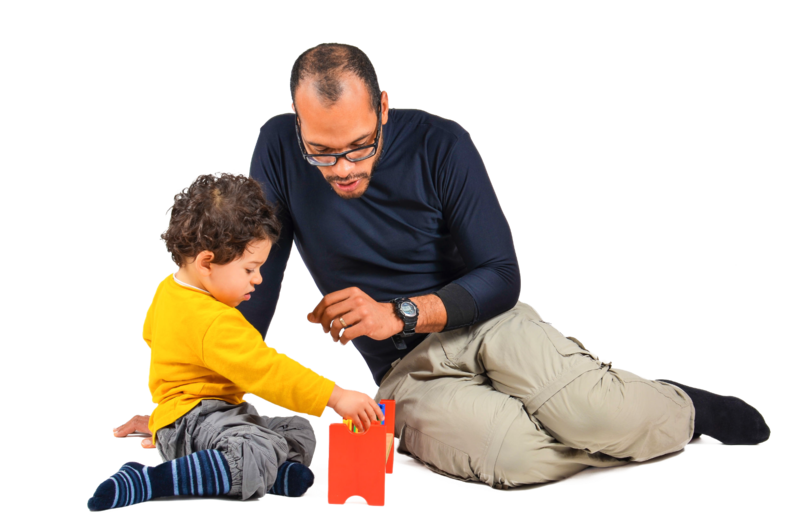 However when an ‘icebreaker’ contact ( where there has been an appreciable gap in contact for the child with a parent) is required it is always undertaken by a qualified ISW. Where there are allegations or evidence of safeguarding concerns, a risk assessment is carried out within the initial one of two sessions usually by Alison. Where there are evidenced safety concerns and /or risk of abduction we commonly then provide two workers, one of whom will necessarily be qualified. All reports are quality assured by Alison and the FSW staff are supervised by her. Now that Legal Aid is unavailable to those seeking legal assistance post separation, many are left to their own devices, at a time when they may be feeling vulnerable. Paying for a lawyer is simply not viable for many. There is however an alternative. A McKenzie Friend can explain the legal processes, terminology and jargon which for the large majority of people, can be confusing, overwhelming and exceedingly stressful. A McKenzie Friend can help steer you through the multi-faceted complexities of the legal system helping you remain focused on the best outcomes possible. As experienced, knowledgeable and skilled McKenzie friends, we can assist self -representing clients at all levels of the Family Court including the High Court. Although mainly working in private law we can offer assistance with public law matters or can refer you on to support elsewhere. Alison and MF staff within and outside of CFS frequently work together in terms of consultation in order to achieve the best outcome for the children at the heart of the proceedings. As well as undertaking a variety of direct court based work, we are also highly experienced in the preparation for hearings and meetings such as assisting in applications, drafting documents for the Court such as position statements, statements of evidence, skeleton arguments, cross examination questions and submissions where necessary. We offer a complete service after the free initial telephone or email contact, including an ‘assessment and advice’ session which can be held by way of Skype or further email or telephone communication, as well as face to face appointments where necessary, through to mediation and guidance for Final Hearings. We can also , where cases have been ‘stuck’ in the system for some time, do a ‘paper assessment’ and give written advice on what we thing your strategy needs to be, this is a very cost effective service as it obviates the need for face to face meetings, we simply read what you send us and analyse what we feel is not only possible but moreover what s in the children’s best interests. Our costs are competitive within the field and we are known to be reliable and effective. We have access to several highly experienced McKenzie friends across the UK where we are unable to assist you. There is an increasing requirement and recognition of the importance and significance of advocacy for children and young people when plans and decisions are being made about their lives. The United Nations on the Rights of the Child is an International Human Rights treaty which grants all children and young people a comprehensive set of rights including the right to express their views and have them taken into account in all matters affecting them. Article 12 states ‘Every child and young person has the right to express his or her views freely – about everything that affects him or her. The child’s or young person’s views must be given ‘due weight’ depending on his or her age and maturity. The child or young person has the right to be heard in all decision-making processes, including in court hearings. The child or young person can speak for him or herself, or someone else can speak for him or her. We will negotiate individually with Local Authorities regarding what we are able to offer and the costs involved. Our CV’s are available upon request. We can accept referrals from solicitors and from counsel, and where a part 25 application is being considered we are able to give time and cost estimates usually within 48 hours to assist such applications. Alison currently triages all referrals and enquiries and will match the ISW with the best skill set to the needs of the particular case, considering their availability and also taking into account location of the family when assessing cost effectiveness. Our rates are competitive within the current ISW market and we take care to be cost effective and clear when setting out our charges. We are able to offer day rates where it is more affordable for clients and we send detailed invoices with a breakdown of costs. Our hourly rates include administrative costs and also the costs of reasonable telephone and email correspondence with clients and lawyers. Currently we do not charge VAT.